Deciding how long to keep your go-to mascara in rotation or when to toss that miracle skin care cream can be downright confusing. Using a product after its prime might not seem like a big deal, but expired beauty products are less effective and can even cause health issues like infections and irritation. So TODAY Style consulted a range of beauty experts to get the scoop on the actual shelf life of your favorite beauty products. When do skin care products expire and why? What do cosmetic expiration dates mean? Mascara definitely wins the award for the shortest shelf life — you should toss yours every three months! Depending on the frequency of use, two to four months is also acceptable. Mascara tends to dry out quicker than other products, and since it’s an eye product, it’s also more likely to cause infections when used for too long. “There’s moisture near your eye so you may be introducing small amounts into the tube. Signs it needs to go sooner? Dry and over-clumped mascara is past its prime," said Tasha Brown, a makeup artist at Exclusive Artists Management. Eyeliner can last longer than mascara, but it still has a relatively short shelf life. "Eyeliner is dependent on the brand and type. If liquid, it will probably last around three to six months, if a pencil, it will last from six to 12 months. A good rule of thumb is smell and obvious dryness," said Lydia Sellers, makeup and hair artist represented by Exclusive Artists Management. So when is it time to toss your eyeliner? Be sure to ditch it when the wax becomes too hard, since that means the eyeliner won’t glide anymore. If you’re looking to invest in an eye product that will last longer than a few months, eye shadow is your best bet. "Powder products like eye shadow and blush have a longer shelf life due to their dry nature. But this doesn’t mean they aren’t susceptible to microbial growth. Be sure to use clean applicators to reduce the chance of introducing microbes," said cosmetic chemist Kelly Dobos. Lip products — think lipsticks, lip glosses and lip liners — typically last about a year, but there's no one-size-fits-all expiration date. "The shelf life of these formulas depend on the specific ingredients and preservatives they contain. The types of formulations have expanded and changed making it harder to give general recommendations," Dobos said. "So it's really the period after opening (PAO) shown on the product package that the consumer should go by." Foundations and concealers can also last anywhere from six months to a year. “Keep fingers away from the neck of the bottle for a longer shelf life and to avoid separation of the oils,” Sellers said. Skin care is a whole other beast, and your favorite lotions and potions have their own unique suggested shelf life. In general, you can get six months to a year out of your facial cleansers while the shelf life of your lotions and creams really depends on the type of bottle you’re using. For instance, a pump lotion can last more than a year, but a jar that you scoop product out of is more likely to experience bacterial growth, so they typically last six to nine months. In general, liquids and creams expire fastest, while powders tend to last much longer. "For skin care, any items that contain an active ingredient that is unstable around oxygen should be kept away from the heat as well. Beauty favorites like retinol, hyaluronic acid, glycolic acid and vitamin C are all relatively unstable if left exposed to oxygen, so if you’re going to incorporate these ingredients into your skin care routine, it’s a good idea to invest in products that come in a tube with a pump rather than an open jar," Evans said. Perfumes can last as long as three to five years, but let your nose be the guide for figuring out when it's time to toss your fragrances. Nail polish, on the other hand, typically only lasts a little over a year once opened and exposed to air. What about your beloved hair products? It could depend on the ingredients found in your shampoos, conditioners and styling products said hairstylist Sunnie Brook, a part of Tomlinson Management Group. Hair products generally last between one and two years, but the warning signs that they're expired aren't that obvious, so pay attention to when they start to lose their efficacy. "One of the cool apps that helps with keeping track of products or knowing their shelf life is Beauty Keeper app. Many manufacturers use a batch code on the product and you can scan or enter that into the app with your phone to determine the shelf life. Then the app notifies you one month before the product will expire and has over 850 hair, makeup, skin and fragrance products to source from," Brooks said. We all know the negative side effects of eating expired foods, but many of us don't take beauty expiration dates as seriously. But, as it turns out, we should! "Sometimes using a product that is expired can result in skin irritation along with bacterial infections. Most products have preservatives in them to keep fresher longer but over time, even preservatives lose their effectiveness," Sellers said. If a product has many active ingredients (like an SPF) and it's susceptible to bacteria — for instance, if air hits a product when you open the jar, or you store it in a damp room or warm bathroom — it can be pretty likely to harbor bacteria. A simple way to keep track is to use a sharpie to mark the date when you opened the product. Certain product types, like eye products, are more likely to cause infection, so if your eyes are experiencing itching, redness or weeping, you should stop using a product immediately. "Expired products run the risk of having destabilized active ingredients that can potentially cause contact dermatitis. In addition bacterial growth is a possibility," said Dr. Ali Hendi, clinical assistant professor of dermatology at Georgetown University and co-founder of Luminora UPF 50+ Resort Wear. "This is often not an issue on intact skin, but if there’s a cut or nick in the skin this can lead to a localized skin infection." How long do unopened skin care products last? What about products you bought a while ago and haven't had a chance to use yet — are they still OK to use even if they don't have a clear expiration date listed on them? The short answer is: They should be good for a few years. 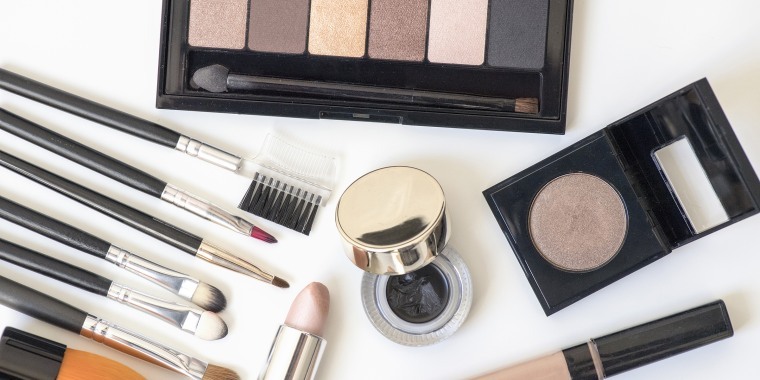 "Most good cosmetic manufacturers will do accelerated stability testing that includes microbial testing to ensure a product has a two to three year shelf life if unopened," Dobos said. Brown agreed that being exposed to air is the biggest issue. "When it has been sealed, it means no air or bacteria have entered the product so it should be just as good as when you brought it," she said. And if you forget when you opened a product (versus not opening it just yet), there are a few ways you can prevent expiration date confusion in the future! "A simple way to keep track is to use a sharpie to mark the date when you opened the product," Hendi suggested. Or, try adding the date you opened it to your phone calendar. Most beauty products don’t actually spell out a hard and fast expiration date, so it’s a good idea to learn to to spot clues for when a product is past its prime. Certain products have telltale signs that they’re going bad, according to Evans. “When a lipstick or mascara goes bad, you’ll know because the fragrance it came with will have faded to something less pleasant. Mascaras usually have a faint citrus smell when you open a brand new tube, but fast forward a couple months and that smell is usually long gone, a pretty good indicator that it’s time for a new one,” he said. The same smell test works for your hair products, too. “You can smell them to see if they have gone off or look for separation in the shampoo/conditioner. Aerosol products or creams start to separate over time so you’ll notice the product not working or balling up,” said Brook. In the worst case scenario, you’ll see visible growth of bacteria and mold — they appear as spots on the product, according to Hendi — but, for your own sake, try to throw your products out before they get to this point! Want to extend the shelf life of your beauty products? Help them do their job by storing them in the right spot. For extra safety, try wiping down the opening of your tubes or jars (around the neck or rim) to clean any excess product off and prevent bacteria from growing. And use common sense when it comes to sharing your beauty products! "Avoid sharing your cosmetics with friends in order to get the most mileage out of them," Evans said. "More people using a product means more bacterial buildup and a higher likelihood of bacterial infection. Products like mascaras, eyeliners and lipsticks will last longer if you keep them to yourself." Last but not least, make sure to securely close the lids of products you are using, especially ones that live in the humid shower!